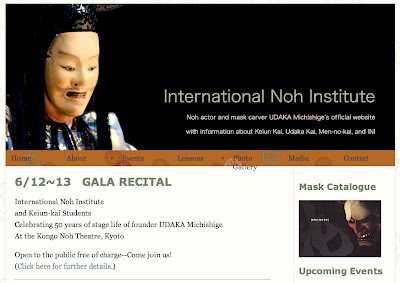 This is the noh recital information which one customer of c.coquet informed me. The recital will be performed by non-Japanese performers who belong to Udaka Michishige Kongo school. It would be a nice time at the air-conditioned Kongo Noh Theater on June 12 Saturday (1:00pm~5:00pm). It’s free of charge.